Early summer brings its fair share of downpours, but along with these rainy nights comes many an opportunity for good (and often wild) times. 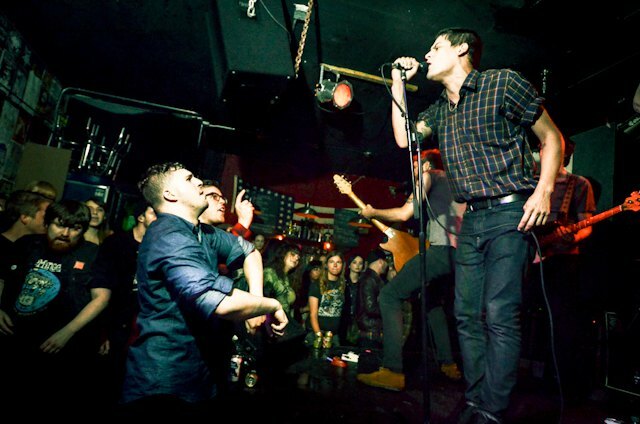 Case in point: Ex-Cult at the Acheron. When these ruthless Memphis punks hit Brooklyn armed with boundless energy and some excellent new material, it felt like the perfect storm. We came. We saw. We moshed (and also broke a priceless vintage purse in the process.) All in the name of punk, am I right? Read on for a Spotify playlist and exclusive photos from when Ex-Cult crushed their crowd at the Acheron. Midnight Passenger, Ex-Cult’s searing sophomore LP, puts listeners through the ringer; the record is a fierce, twisted journey of the best kind, and also marks new territory for the band. 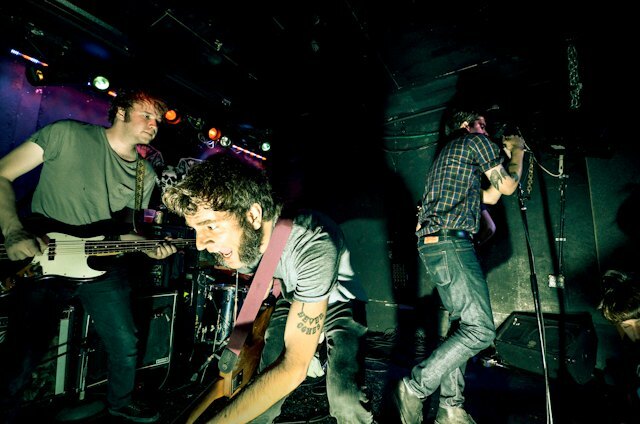 Despite their ferocious approach to music-making, Ex-Cult went more experimental on Midnight Passenger, taking a giant step forward from their self-titled 2012 debut. The influence of producer Ty Segall is definitely felt, with shades of psychedelia permeating Ex-Cult’s signature sound. The album features rollicking highs and lows, totally trippy vibes, and fuzzed-out, distant vocals that evoke the eeriness of walking down a deserted hallway. Spot the grinning music writer: a Bushwick Daily Where's Waldo. During the band’s live show, however, these quiet moments from the record are quickly forgotten. At the Acheron, frontman Chris Shaw once again proved himself a compelling performer, frightfully dynamic and brimming with masculine energy. Badass bassist Natalie Hoffman was notably M.I.A, but in her absence, the band did a fine job of reigning in their typically unbridled power. Guitar strings flew, drum sticks sailed, and the crowd ate it all up with insatiable hunger. The night’s set list included Midnight Passenger highlights like “Ties You Up,” “Shattered Circle,” and tumultuous title track “Midnight Passenger.” At one point, Shaw threw himself helplessly into the audience, inspiring sheer abandon on the part of his fans. While an encore probably wasn’t planned, it was definitely appreciated; the band played “M.P.D,” which stands for Memphis Police Department, and never fails to disappoint. Missed Ex-Cult this time around? 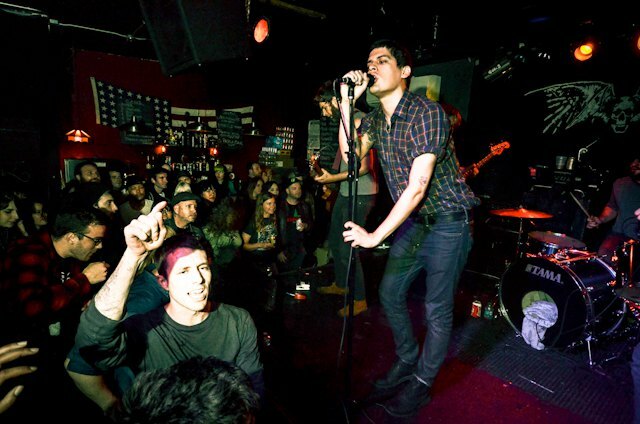 Good news, punks: they’re hitting Brooklyn again on June 21. 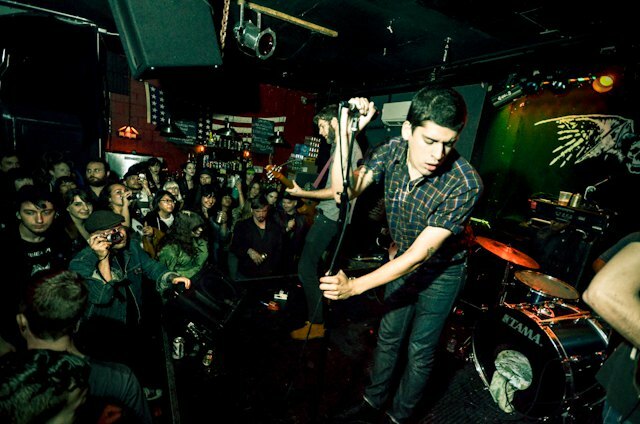 Catch Ex-Cult at Union Pool in a couple of weeks with Liquor Store and Call of the Wild. Bonus: it's a free show!